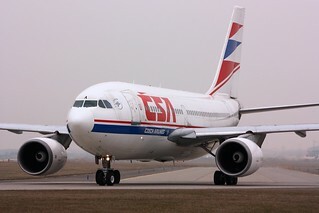 Czech Airlines A310 fleet consisted of four aircraft. This one left CSA in 2009 and the last one in 2010. This classic livery (although the nose cone is missing the painting here) cannot be seen at airports anymore.